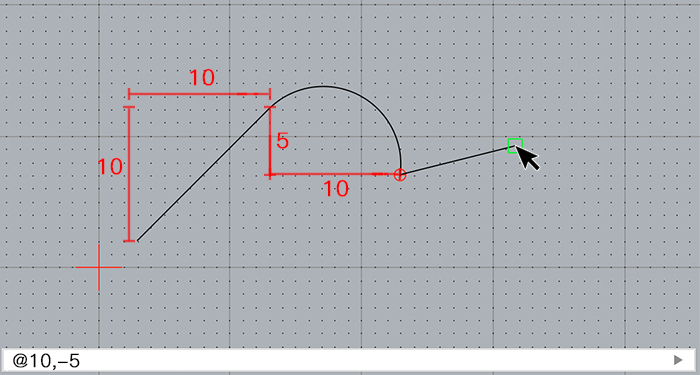 This tool lets you draw polylines. A polyline is a continuous line formedfrom one or more connected line or arc segments. 1. Specify the start point of the first line segment, enter the relative coordinate '@10,10' in the command line， then click the enter key. 2. Enter 'arc' in the command line, click the enter key. Then enter the relative coordinate '@10,-5' in the command line，click the enter key. 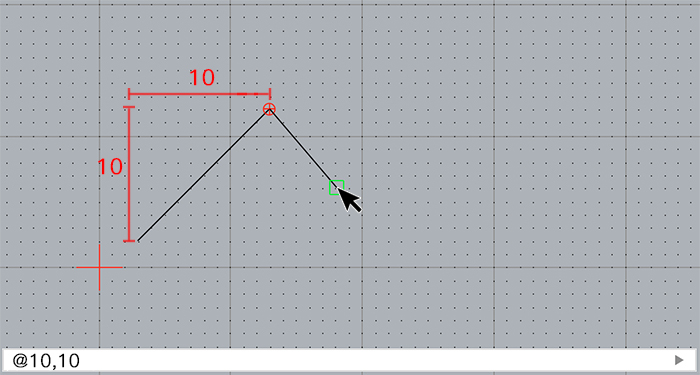 If you need to draw straight line segment, enter 'line' in the command line. 3. Double-click the right mouse button, end drawing.